Once more, it is that time for the year: You will meet with your family and friends and have a pleasant time during the Thanksgiving holiday. But sharing a hearty meal together is not the only way to live the spirit of Thanksgiving. You can understand the importance of sharing also by playing games and spending the best time together! We have chosen top 5 co-op games that BlueStacks users can play with their family members and friends during the holiday. We encourage you to start your Thanksgiving gaming adventure with them. If you are looking for other interesting games, you can check out the Guide about Top 5 Farm Themed games to play this Thanksgiving or use the BlueStacks App Center. You can score wins for your team and celebrate it with the Thanksgiving feast, and once you are all well fed, you can burn-up some calories by playing some more. Amiright? If you have previously played a Heroes of Might and Magic game, you will love Art of Conquest. The game mechanics are almost the same: With your hero and your army, you are roaming on the world map, fighting enemies, and conquering cities. Battles use a turn-based rule system, and troop placement and hero skills are very important. 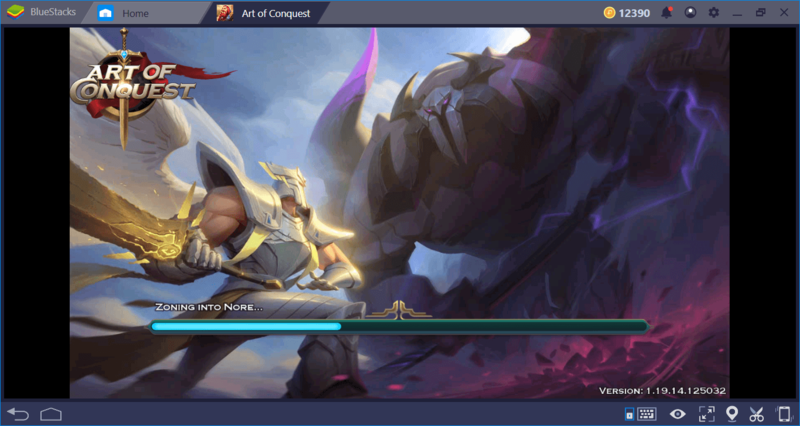 It takes only a few minutes to set up your own guild in Art of Conquest. Only 5 minutes after you start the game, you can create a guild and start accepting members. Play Art of Conquest this Thanksgiving! For Thanksgiving, set up your guild and start inviting family members and friends. There are many advantages of being in the same guild: You can send gifts to each other, siege a kingdom, and take control of multiple cities. In other words, if you play together with your family and friends, you can complete the conquests much more easily and quickly. Moreover, you can send “heart points” that are very important in terms of game mechanics to each other and continue playing without interruption. 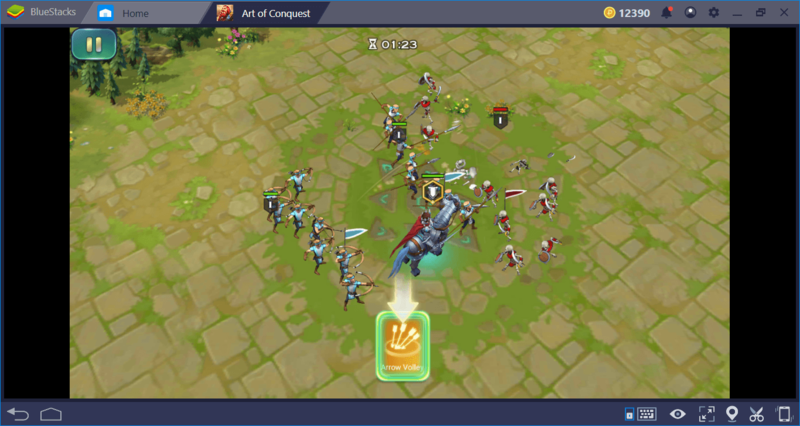 BlueStacks Combo Key Tip You can fully automate troop placement and hero skill usage by creating a macro with the Combo Key feature. Doing that will save you at least 10 clicks. If you haven’t played a Battle Royale game before, you can start with Free Fire. The arcade combat mechanics of the game allow you to easily adapt to the genre without any difficulty, even if you are not experienced. Your goal is to be the last remaining player on an island: However, since you are playing with your family and friends, you must aim to be the last remaining team. Free Fire can be played in two or three-person teams. Your goal is to kill opponents by using the weapons and armor that you find on the island. Up to 100 players can be placed on the same island and therefore, playing as a team gives a great advantage. You can easily see your team members on the map. Prepare ambushes together, attack as a team, and win the game using collaborative strategies – don’t forget to talk to each other about the location of the enemies! 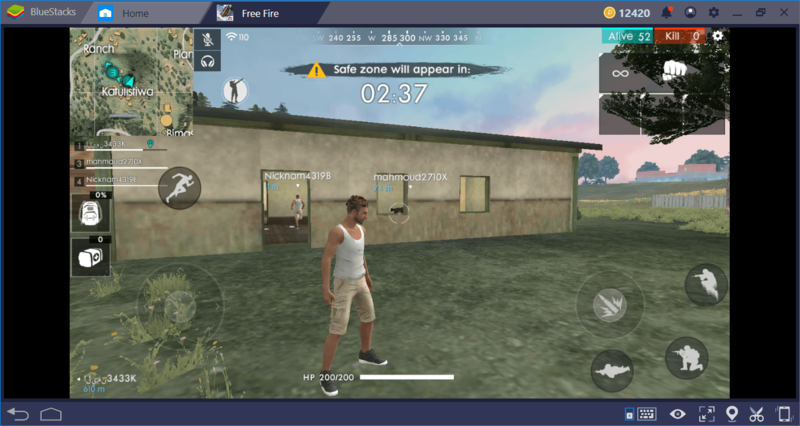 Free Fire is one of the games that can be played without getting bored during the whole Thanksgiving period – it offers never-ending fun. By reading our guides about this game, you can reach victory more easily! 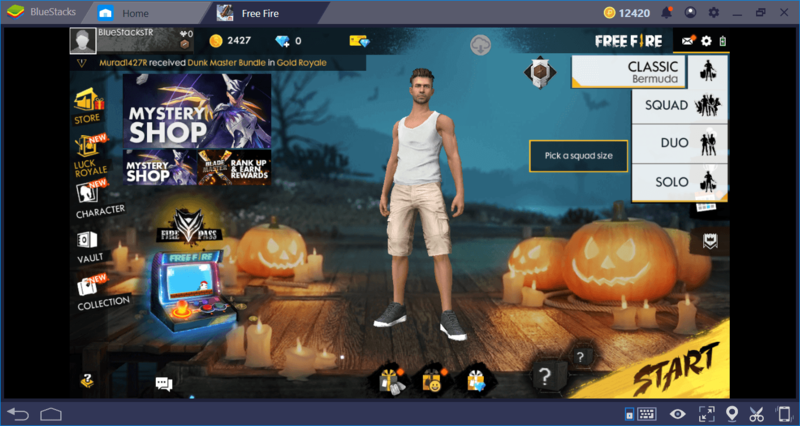 Play Free Fire this Thanksgiving! 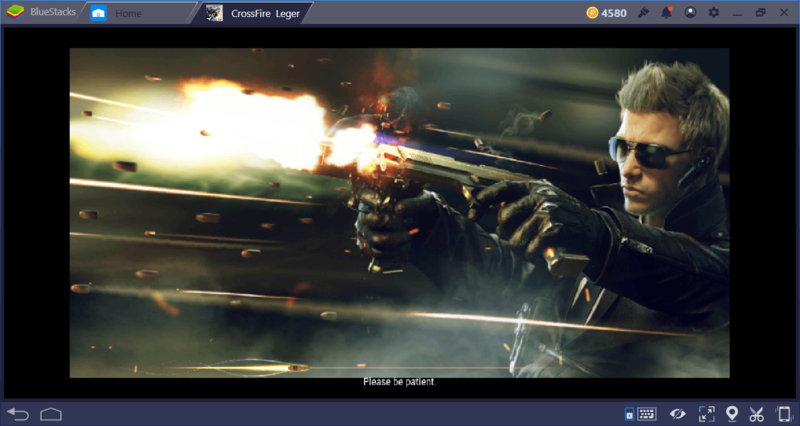 BlueStacks Combo Key Tip Create a macro for switching guns and using the manual aim with the Combo Key feature. This will allow you to switch to a sniper rifle and open the scope with only one key. MOBA games are designed to be played as a team. The more compatible you are with your teammates, the more likely you are to win the match. 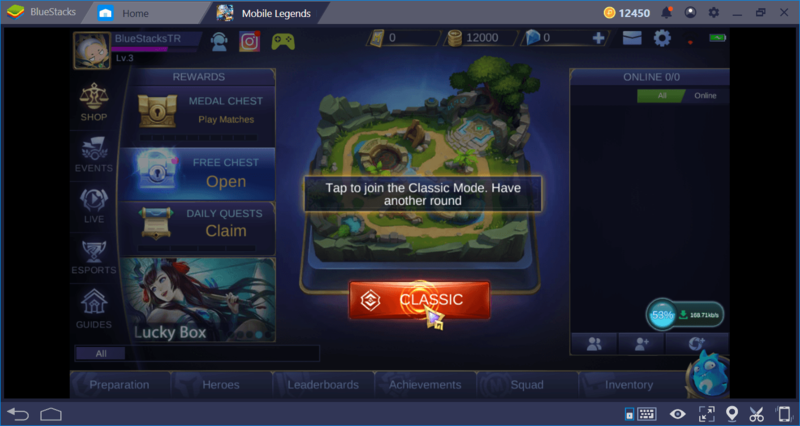 We are sure that at least one of your family members or friends has played League of Legends before: How about living the same experience with Mobile Legends? The game mechanics are exactly the same and even the maps are familiar. Your goal is to choose a lane and move on it to destroy the enemy base. In the meantime, you must confront the enemy heroes. Play with at least three people for an ideal experience. Each of you can choose a different lane. If you choose the heroes correctly, you can create a balanced team and make winning matches easier. For starters, we recommend creating a tank, dps, and support team. 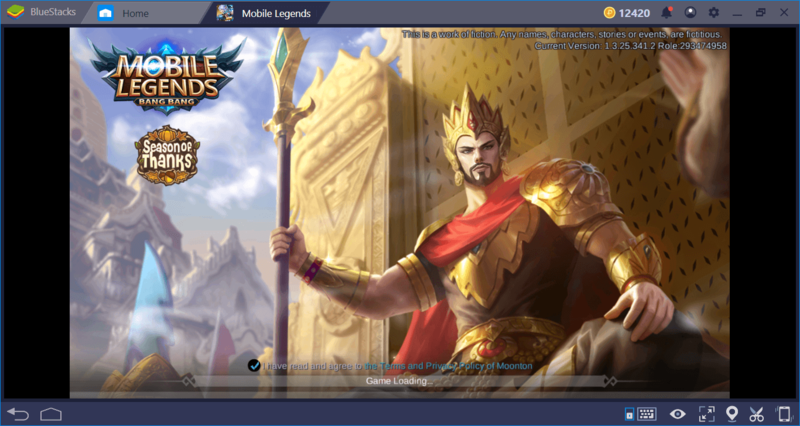 Play Mobile Legends this Thanksgiving! 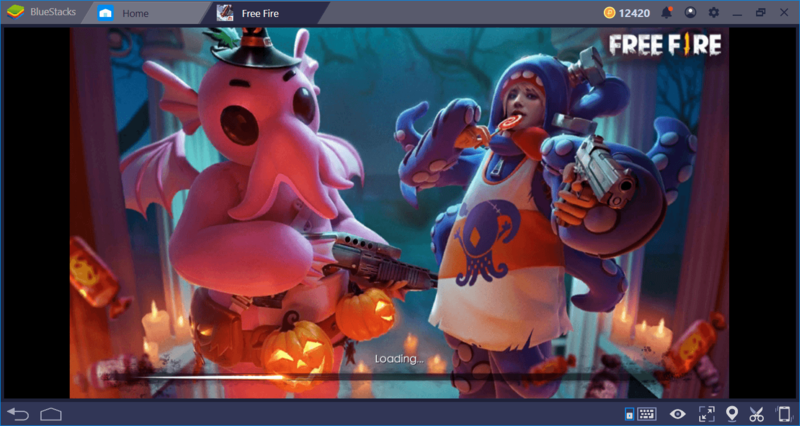 BlueStacks Multi-Instance Tip You can create another instance to test out a specific tactic, without affecting the rating of your main account. BlueStacks Combo Key Tip Create a single macro to recall hero, buy potions, and run back. You can create specific macros for each map with the Combo Key feature and automate all of the time-consuming things. Civilization is one of the most beautiful games to play together. 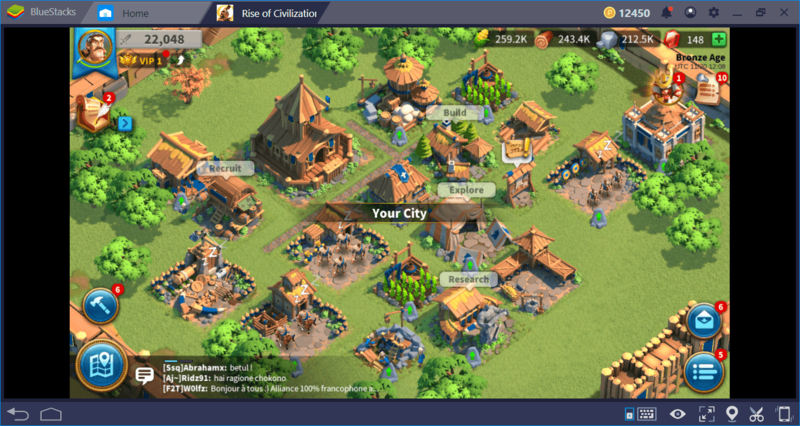 Rise of Civilizations is its mobile version: You choose a nation, establish a kingdom, and make yours the best realm in the game world. Your goal is to establish the most advanced civilization and to have the largest army. Unfortunately, you cannot get both of them on your own: You need other nations to help you. Collaborating with other nations allows you to exchange resources, get military help, and conquer strategic places on the world map. 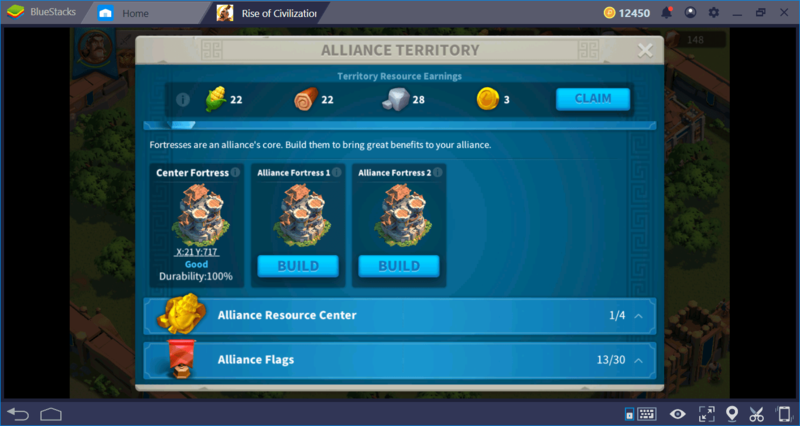 For all this, you must join an alliance: By doing that, you can also increase the speed of construction and research. 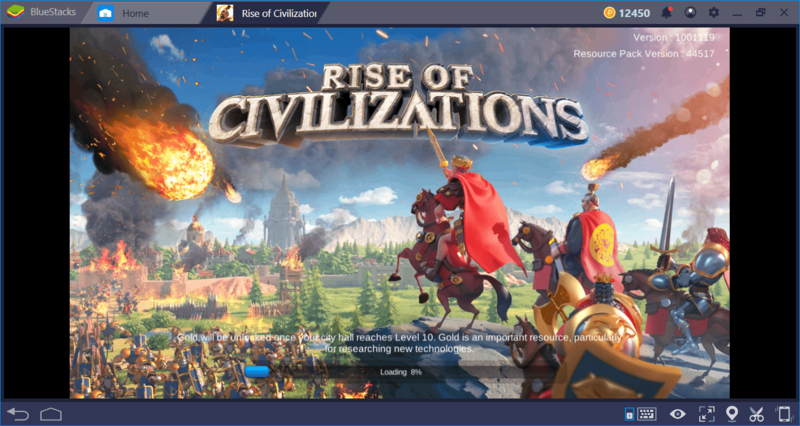 Play Rise of Civilizations this Thanksgiving! By other nations, we mean family members and friends: Create an alliance and invite everyone! By playing together, you can conquer even nations that are more powerful than you. Moreover, you can continue to play together after Thanksgiving and you can turn Rise of Civilizations into a special game for the family. 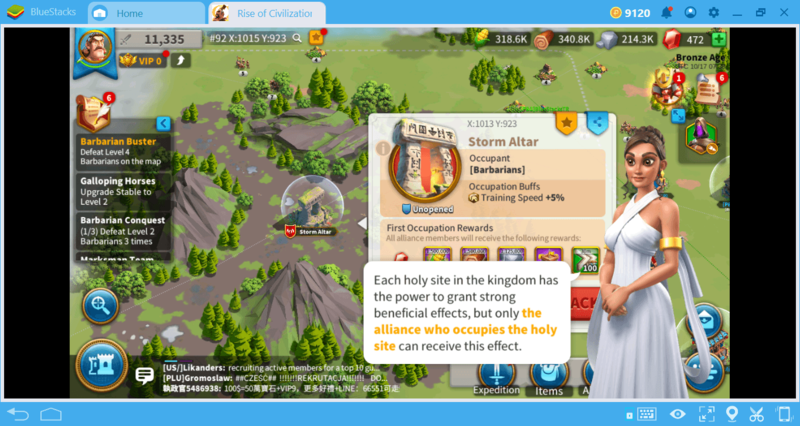 Don’t forget to read our Rise of Civilizations guides to learn the tactics and strategies that will help you to become the most powerful nation. 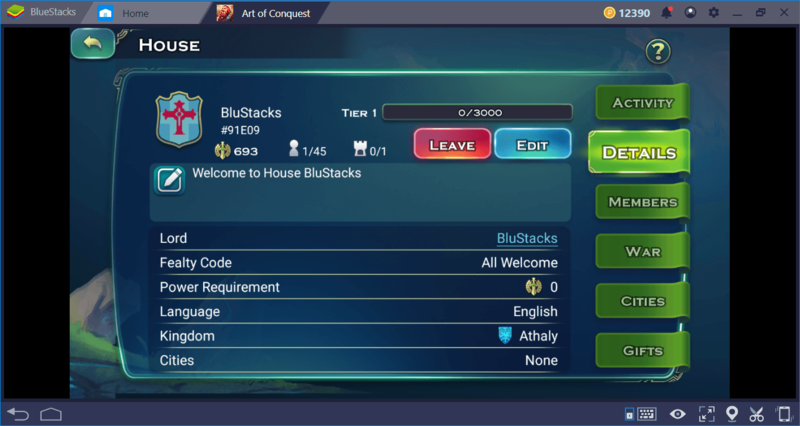 BlueStacks Multi-Instance Tip The more members in an alliance, the merrier: More members give you additional buffs. Each member of your alliance can create additional accounts with the multi-instance feature and suddenly, you are looking at an army. 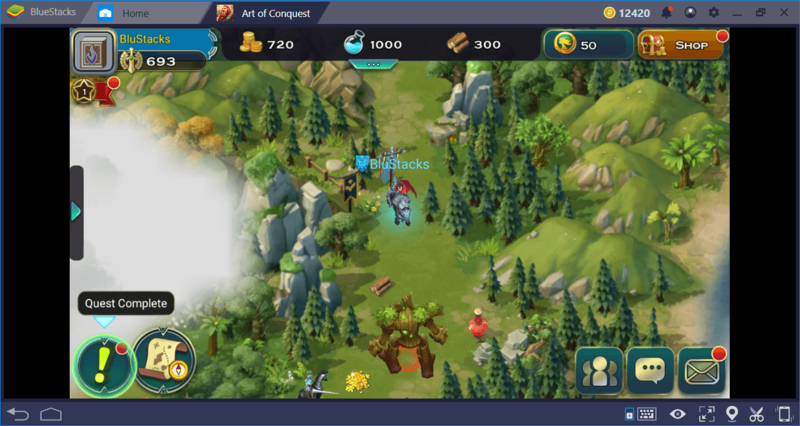 BlueStacks Combo Key Tip To collect resources and troops with a single button, record your actions once and create a macro. From now on, you can repeat the same series of actions with a single key. Competitive shooter games are not for “lone wolves”: If you play as a team, you can win each match and increase your ranking easily. 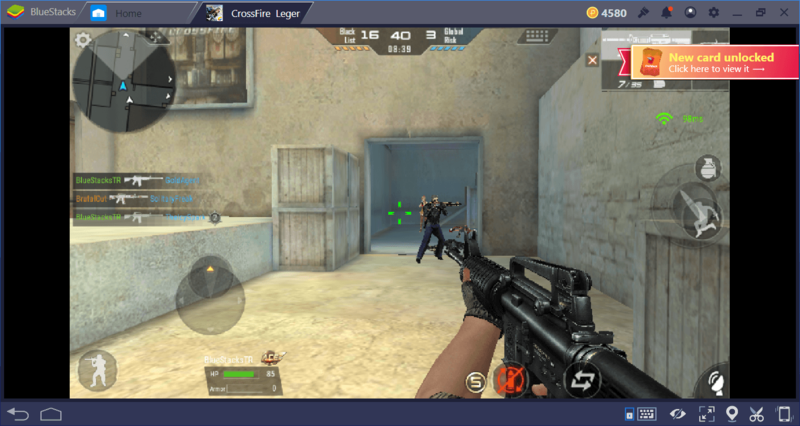 Crossfire Legends is one of the most successful competitive shooters on the Android platform. If you’ve played Counter-Strike before, this experience will be quite familiar: Your goal is to become the team that gets the most kills in a certain amount of time on several small-scale maps. You can gain a lot of advantages by playing as a team. First, you need to be in a group to participate in some ranked matches. “Automatic join” feature is not enough to create an ideal team setup for this type of match. More often than not, it takes too long to find a random team. In addition, you can take on different roles on each map and support each other. For example, one of you can select the sniper rifle and give remote support, while the other can attack from the melee distance: This type of combo will allow you to get multiple killings in a very short time. Don’t forget to read our guides for more Crossfire tactics! 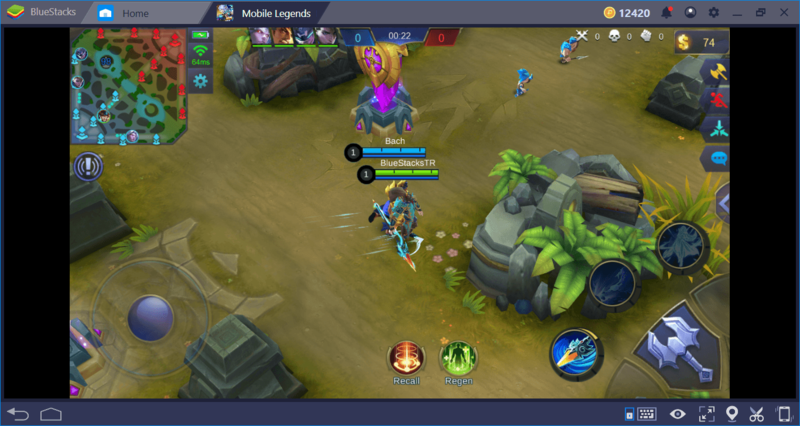 BlueStacks Combo Key Tip Create a macro for switching to a blade(or any other melee weapon) and swing it once (or multiple times). From now on, once you are at the melee range of an enemy, you can switch to an appropriate weapon and use it automatically with a single key. 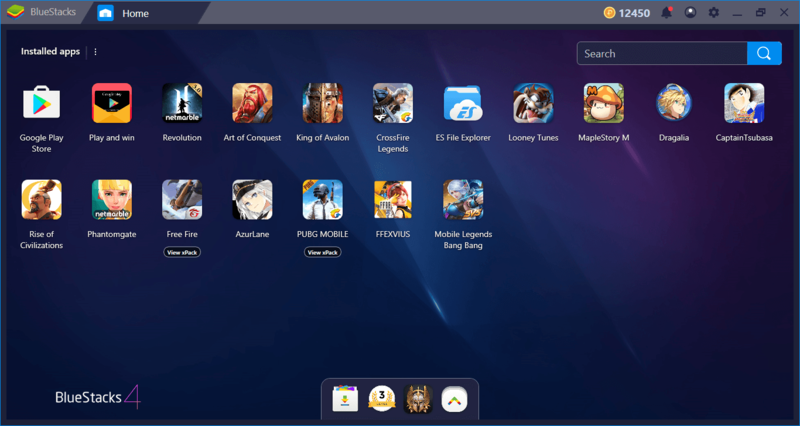 With BlueStacks and its exclusive features, you can make Thanksgiving even more enjoyable! If you want more suggestions for games to play together, don’t forget to read our other Thanksgiving guide about the Top 5 Farm Themed Games. Have a good holiday! 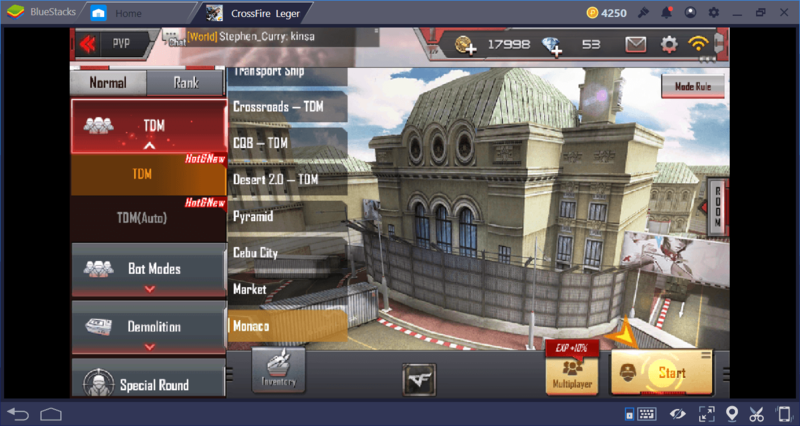 Play Crossfire Legends this Thanksgiving!